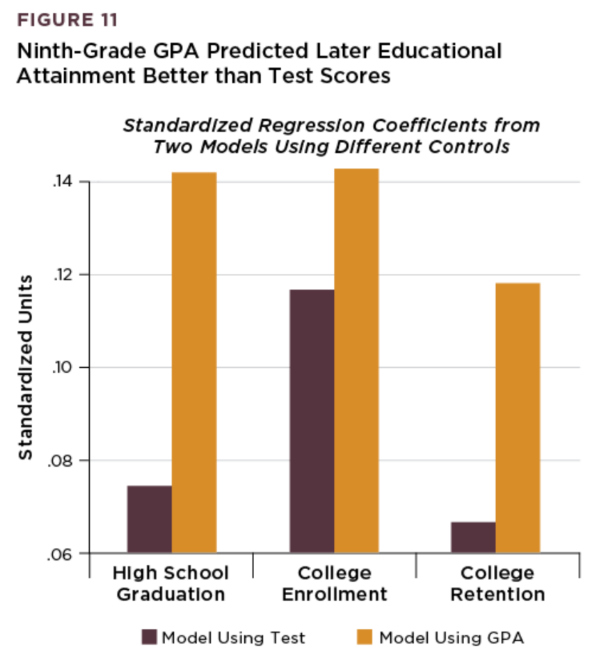 Ninth-grade ontrack status is a stronger predictor of graduation than all background factors and test scores combined. 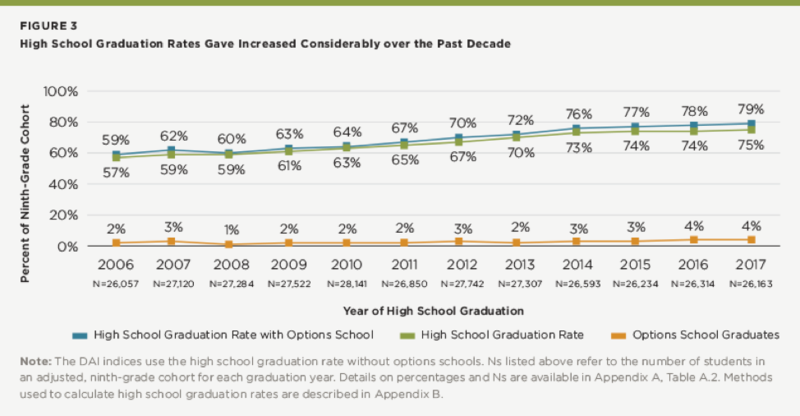 CPS high school graduation rates rose dramatically from 2006-16. 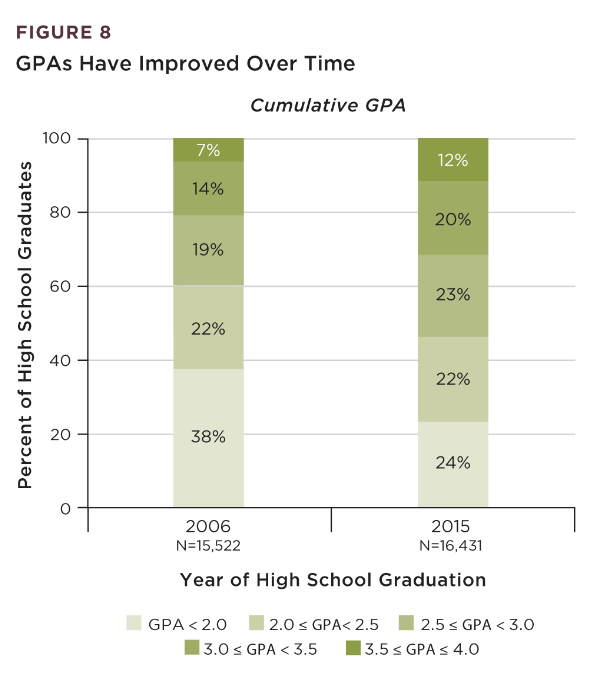 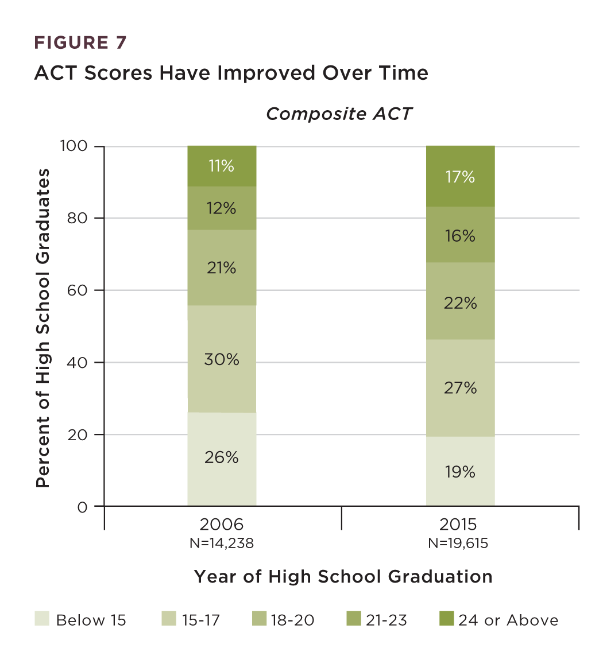 CPS graduates’ ACT scores and GPAs have increased over time. 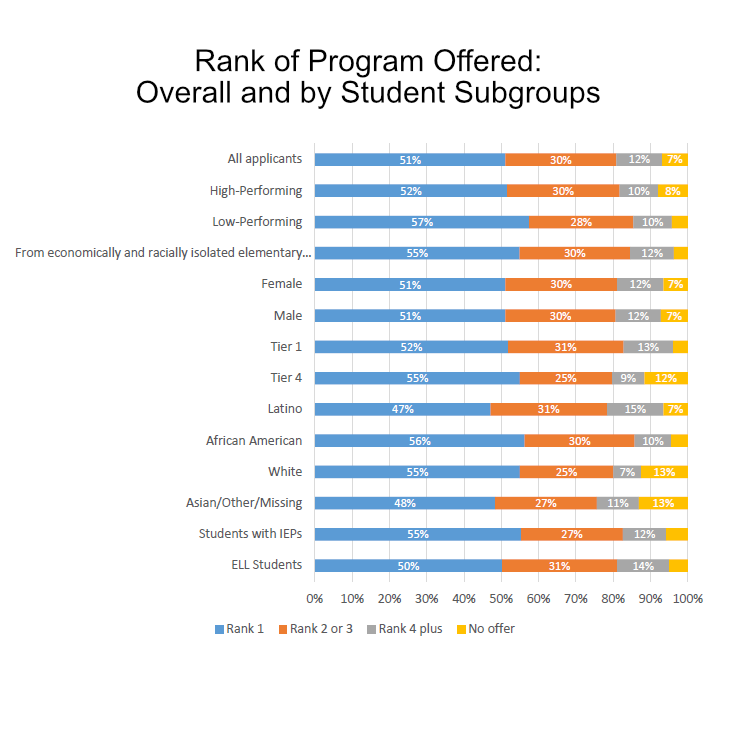 More than 80% of CPS high school applicants who applied through the GoCPS web portal received an offer at one of their top-three ranked programs in 2018. 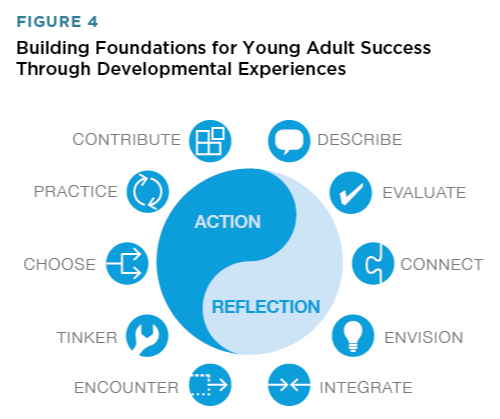 Adults can create and facilitate developmental experiences to foster young adult success. 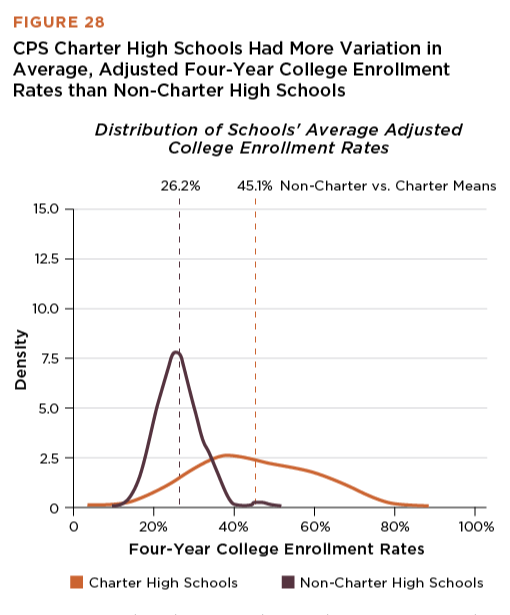 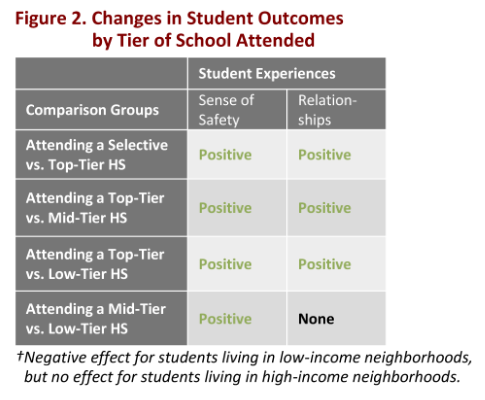 Students who attended high-performing neighborhood and charter schools had similar and, in some cases better, outcomes than their peers at selective enrollment high schools. 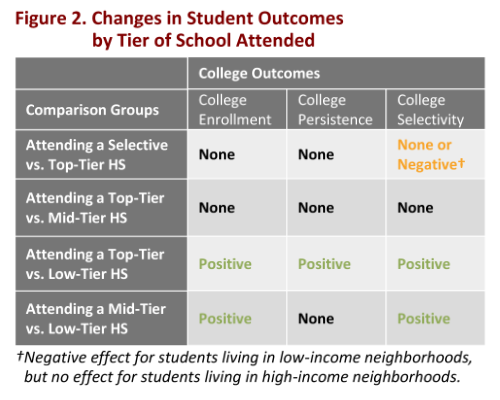 The North Lawndale Cluster initiative aims to coordinate and align resources, programs and partnerships to support students from preschool through high school graduation in five schools in the North Lawndale area. 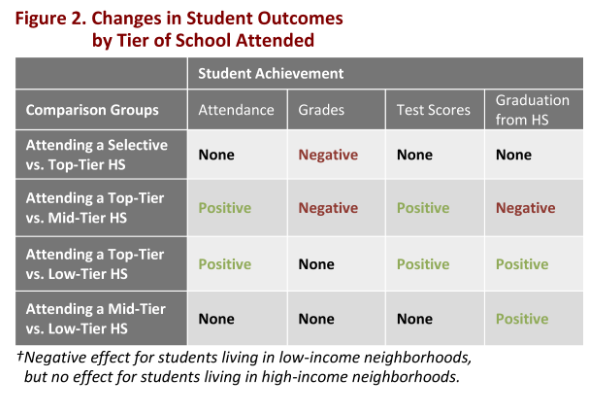 The UChicago Consortium is evaluating the changes that occurred in the initiative schools over time, and the implications for the coordinated model.